Desert Sunflower, also known as Parish Goldeneye, is a perennial wildflower native to the Sonoran Desert. It has a shrub-like growth habit and produces bright yellow, daisy-like flowers that bloom in the springtime. 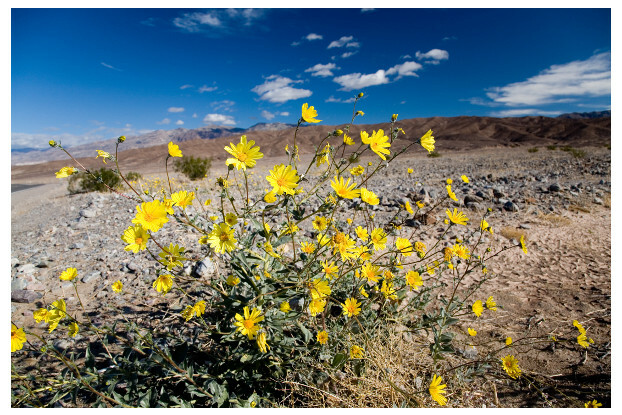 Desert Sunflower can grow up to three feet tall and prefers sandy, dry soils and full sun. This wildflower can be found in open prairies, fields, pastures, roadsides, and disturbed areas. Makes a great addition to rock gardens or any other low water use area.